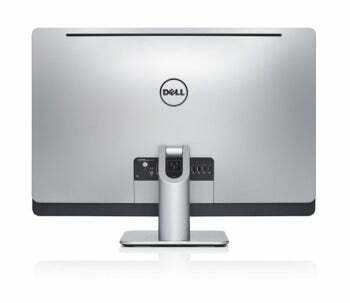 If you’re in the market for a new all-in-one PC, the Dell XPS One 27 is an appealing option. It’s fast, it handles Blu-ray discs, it delivers a great picture on its 27-inch PLS screen, and it costs all of $3500 less than the current category leader, HP’s Z1 Workstation. That’s no typo: Costing $1999 (as configured, price as of May 30, 2012), the XPS One 27 racks up an impressive series of wins and makes few blunders. It should come as little surprise that much of the XPS One 27’s speed can be traced directly to its use of an Intel Ivy Bridge processor--namely, the 3.1GHz Core i7-3770S, the lower-power, 65W chip in the high-end Ivy Bridge lineup. 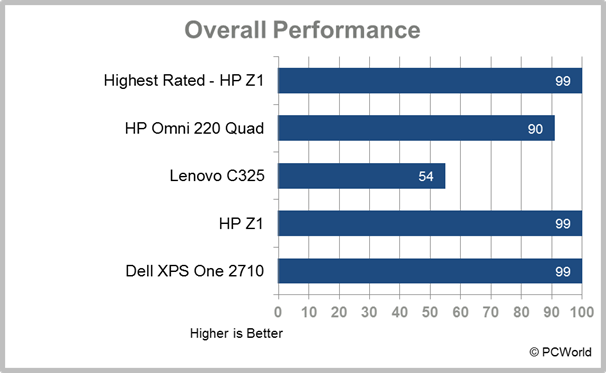 The i7-3770S helped the XPS One 27 nail an overall score of 143 on our WorldBench 7 suite of tests. To put that score in perspective, note that the far pricier HP Z1 Workstation posted a mark of 159 equipped with a 3.5GHz Intel Xeon E31280 processor, double the memory (16GB), a 600GB solid-state drive (versus the 2TB hard drive in Dell’s AIO), and an Nvidia Quadro 4000M graphics card, which offers 336 GPU cores versus 384 cores for the integrated Kepler chip on the XPS One, the Nvidia GT 640M. As for connections, Dell’s system delivers a modest amount of ports and slots for most conventional uses. Two USB 3.0 ports and a flash memory card reader grace the system’s left side; its right side is barren, save for a slot-loading Blu-ray combo drive (a delicious twist on the standard pop-out optical drives often seen on all-in-one desktops). The rear features four USB 3.0 ports, a gigabit ethernet port (complementing the desktop’s built-in Wireless-N connectivity), separate ports for HDMI-in and -out, an optical S/PDIF port, and a standard coaxial input if you want to turn the XPS One 27 into a living-room TV. Although we would have appreciated connection types for other storage and display standards (FireWire, eSATA, or DisplayPort), Dell covers its bases well enough with USB 3.0 and HDMI. A webcam sits on the front of the XPS One 27, as well--not a noteworthy feature, aside from the unique shutter that you can manually open and close for privacy and a little more peace of mind. The keyboard and mouse that shipped with PCWorld’s review unit were completely generic in function, but both devices were wireless and lightweight. The XPS One 27 also ships with a miniature remote, a handy little device for all your media center needs. Considering that the Dell XPS One 27 is a big, sturdy all-in-one desktop that’s every bit as strong in function as in form, you would be foolish to let the high price scare you away. Should you choose this PC, you'll get every bit of what you paid for: an elegant system, a beautiful display, and all the next-generation connections, ample storage space, and raw speeds you need to make your computer the true centerpiece of your home office or living room. For an all-in-one, this desktop has a lot of bite. Dell's Ivy Bridge all-in-one has a high asking price but is worth considering for its excellent combination of speed, features, and looks.